A recent job listing at Nintendo of America for a tester to create a "test plan for Wii's USB devices" has caused a flurry of speculation online. The news follows a recent Edge magazine interview with Nintendo of Europe boss, Laurent Fischer who stated that, in his opinion, only "geeks and otaku" need more storage space. Nintendo is currently suggesting that gamers should manage the Wii's limited memory by deleting unwanted games and/or storing them on SD cards. A Nintendo rep told GamePro last week that: "Consumers have the option of either deleting the game and downloading it again for no additional Wii Points, or transferring the game from Wii to external SD memory card." Many more ‘casual’ Wii owners may well choose to disagree with the Nintendo man, having hit the Wii’s 512MB internal memory limit. 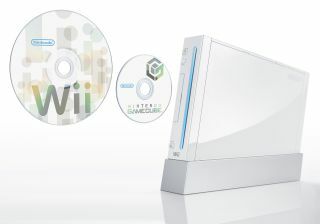 Nintendo is yet to publicly announce specific USB devices for Wii, a spokesperson told TechRadar this morning.